What’s Santa’s favorite breakfast cereal? Frosted Flakes! Using an Elks National Foundation Promise Grant, Elks from De Soto, Mo., Lodge No. 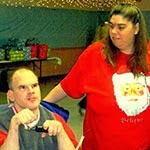 689 hosted Christmas breakfast for community members with special needs. 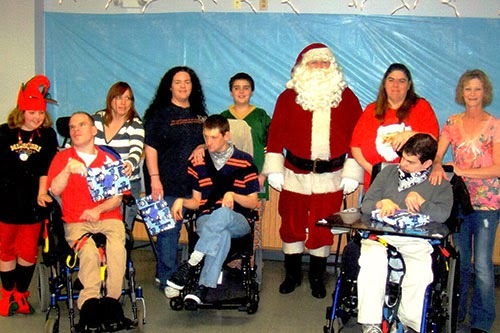 Even though Frosted Flakes wasn’t on the menu, Santa still came to celebrate, play games, and give gifts to each guest. The breakfast allowed the Lodge to connect with those in need in the community and share the gift of friendship. “We were able to increase awareness about the good things the Lodge does for the community throughout the year thanks to the Promise Grant,” says ENF Grant Project Manager Mike Thurmond.